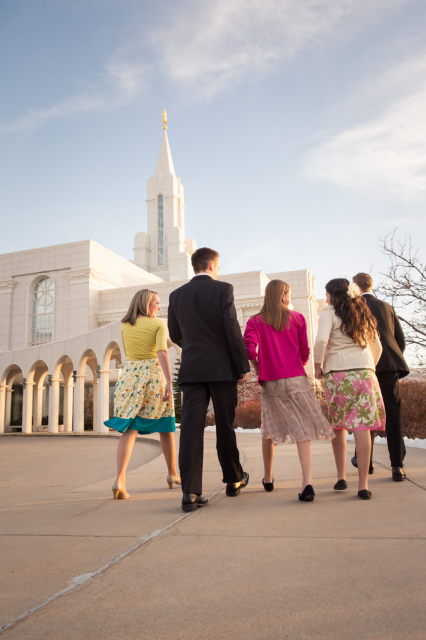 On Friday morning, December 14, 2018, The First Presidency of The Church of Jesus Christ of Latter-day Saints announced changes to when the youth progress into Young Women, Young Men, ordination to the Priesthood, and receive a limited-use temple recommend. “We desire to strengthen our beloved children and youth through increased faith in Jesus Christ, deeper understanding of His gospel, and greater unity with His Church and its members. To that end, we are pleased to announce that in January 2019 children will complete Primary and begin attending Sunday School and Young Women or Aaronic Priesthood quorums as age-groups at the beginning of January in the year they turn 12. Likewise, young women will progress between Young Women classes and young men between Aaronic Priesthood quorums as age-groups at the beginning of January in the year they turn 14 and 16. The full letter, along with a FAQ can be read here. Must the transition date for age-group progression always be January? Can youth who are not yet 12 attend camps? Can youth who are not yet 14 attend dances and youth conferences? Can youth who are not yet 14 have ministering assignments? As stated, these changes are to be implemented immediately, which is incredibly exciting for the youth of the Church! As someone with a birthday towards the end of the year, it was hard for me to wait so long to join my friends in Young Women. I can relate to and feel the anticipation many youths have for this coming January. This will surely help move the Lord’s work along in these last days as more youth get involved in temple work, priesthood service, and ministering. God, Prophets and Us — Oh Yes! Jesus Worshipped Through Song and So Can You! This entry was posted in Hastening the Work, News and tagged church news, covenants, prophets, service, Youth on December 14, 2018 by Chelsey Ortega. Chelsey Ortega is a wife and mother of three: a boy and two girls. She grew up in the Provo/Orem area of Utah and still lives there. In 2015 she graduated from Brigham Young University with a Bachelor of Arts in History Teaching coupled with a certification in TESOL (Teaching English to Students of Other Languages). Chelsey teaches English part time, and cares for her family full time. She loves reading, writing, dancing, and cooking; and is always looking for new books to read and new recipes to try. Chelsey writes about her family, faith, and other interests on her personal blog: mymilkchocolatefamily.blogspot.com.